Mobile Friendly Template: Responsiveness of a website is an essential part when it comes to providing better user experiences. Users prefer to access everything on their smartphones nowadays. So, whenever you begin to develop a website, it is important to build it by integrating mobile-friendly features. Adding this feature to your website will definitely give some profitable outcomes for your business. Reduced Website Errors: None of the visitors appreciate website errors and switch to other websites if found any. The errors could be caused by broken links and site 404 errors that create such a bad impression on visitors that they may decide not to browse a particular website again. So, working on website's dead links and other negative aspects is an important task to keep in mind. Captivating Images: Pictures play a significant role when it comes to grabbing the attention of visitors at first sight. Using unique and attractive images is the best way to get user attention. It also aids the users to select the service from the given ones. Putting some relevant content on the pictures will clearly mention the meaning and purpose of the service. Improved Page Loading Time: You cannot overlook the speed of your website if you are looking about getting excellent conversion rates. When a user finds a website slow and lazy, he abandons the website and jumps over to a website which is fast and easy to navigate. So, implementing website speed enhancing tactics to improve load time can have great conversion rates. Implement Test for Website: Continuous testing of a website makes it strong internally as well as externally and helps it to run flawlessly. Comparing the aspects of your website with the competitors will help you get profitable and improved conversion rates. Business owners need to regularly test their websites on different parameters to leverage it over the web. Attractive Call to Action: An appealing call to action plays a significant role in guiding customers to the offers visible on your website. Call to action must have compelling phrases or words like "hurry up", "limited stock available", "buy now" so that they can get the attention of users and prompt them to take instant action regarding the same. With the help of these tips and suggestions, you can easily take your conversion rates and profitability in the upward direction. These web designing tricks and trends help website owners create a functional business website as well as provide an extended user experience. 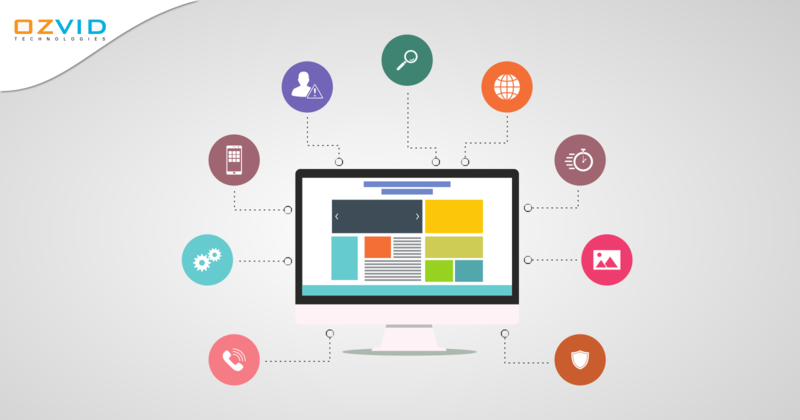 Hiring a web design service company and implementing these latest trends will make customers satisfied which results in bringing quality traffic to your website.